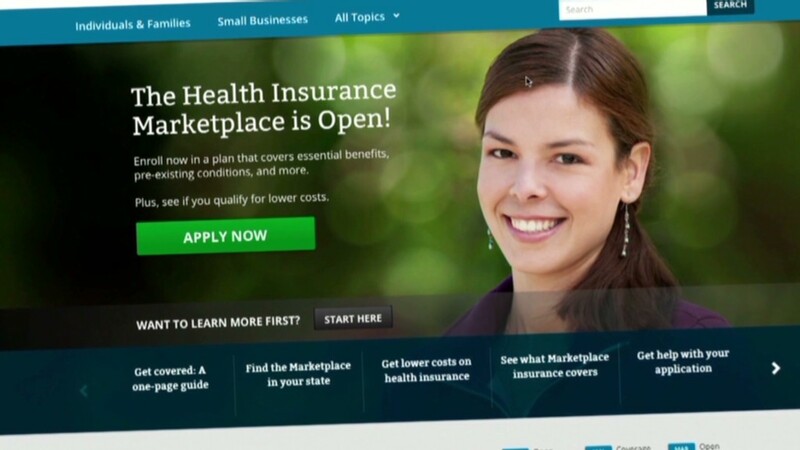 Who's signing up for Obamacare? Now we know a little more about the nearly 2.2 million people who signed up for Obamacare last year. 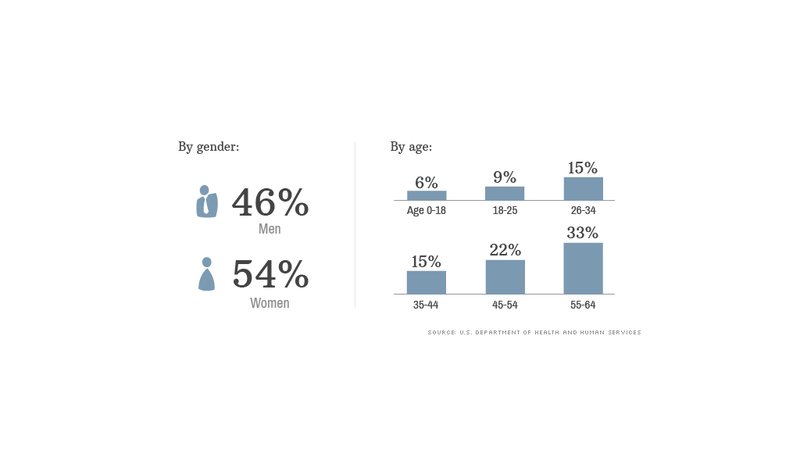 About a quarter of the enrollees are in the coveted 18 to 34 age bracket, and more than half of them are women, according to data released Monday by the U.S. Department of Health and Human Services (HHS). While the White House released the total number of sign-ups in the first three months of December a few weeks ago, this is the first detailed demographic look at the Obamacare applicants. And the demographics are very important. Insurers based their premiums on a decent share of younger, healthier Americans enrolling on the exchanges to balance out older, sicker applicants, who run up higher bills. If too few young people sign up, premiums for 2015 could rise to reflect the increased risk and cost. So far, the share of younger applicants is running below the expectations of experts and the White House itself. No one knows what the magic number should be, but the mix within each state matters as much as the overall pool nationwide. Administration officials said they are pleased with the pool so far. The 24% of younger Americans who have signed up is comparable to their share of the population, said Nancy Delew, the HHS acting deputy assistant secretary for planning and evaluation. She is expecting more young adults to sign up before open enrollment ends on March 31. "We need to continue and accelerate our outreach efforts to the population, both the younger population as well as others," said Michael Hash, director of the Office of Health Reform for the HHS. "We are confident based on the results we have now that we'll have the appropriate mix of individuals enrolled in coverage." Still, a Kaiser Family Foundation report last month said 40% of the potential exchange market -- legal residents who are currently uninsured or buy their own insurance and aren't eligible for Medicaid or employer-based plans -- are ages 18 to 34. The administration had originally hoped that closer to 40% of enrollees would be younger Americans. The White House is engaging in a grassroots campaign to get young people to enroll, including outreach efforts in the 25 metro areas served by the federal exchange with the highest level of uninsured youths, a senior administration official said. Meanwhile, some 33% of Obamacare applicants are age 55 to 64, about twice the demographic's share of the eligible market, according to Kaiser. Those age 65 and up are not eligible to buy plans on the exchanges because they are eligible for Medicare. The HHS data released also showed that 60% of those signing up selected silver plans, which are the second lowest tier. Another 20% picked the lowest bronze category, while 13% chose gold and 7% the highest platinum category. Only 1% selected catastrophic plans, which are open only to those under age 30 or who qualify for a hardship exemption. Late last year, President Obama allowed those whose individual insurance plans were canceled to apply for hardship exemptions. Some 79% are receiving federal subsidies to defray the cost of premiums or out-of-pocket expenses. Some 957,000 people signed up for insurance through the exchanges run by 14 states and Washington D.C., and another 1.2 million through the federal exchange, which is managing enrollment in the remaining 36 states. These figures include both people who have completed enrollment by paying their first month's premium, as well as those who have not. Many insurers had set Jan. 10 as a payment deadline for coverage retroactive to Jan. 1, though many have since pushed back that due date. Another 1.6 million people have been determined eligible for Medicaid through the exchanges. A total of 3.9 million people have signed up for Medicaid through exchanges and state agencies, though some of them are renewals. The demographic trends of applicants vary widely by state. West Virginia and Wisconsin have a higher-than-average number of older applicants, with 45% of them between the age 55 to 64. On the flip side, some 37% of D.C. applicants are between 26 and 34. Obamacare is allowing young people to obtain coverage for the first time, said Aaron Smith, co-founder of Young Invincibles, which is helping the administration reach out to younger Americans. The main reason many in this age group are uninsured is because they can't afford coverage. But under Obamacare, many can find plans in the $50 to $70 range, he said. "This generation wants coverage but struggled to afford it," Smith said. CNN's Adam Aigner-Treworgy contributed to this report.